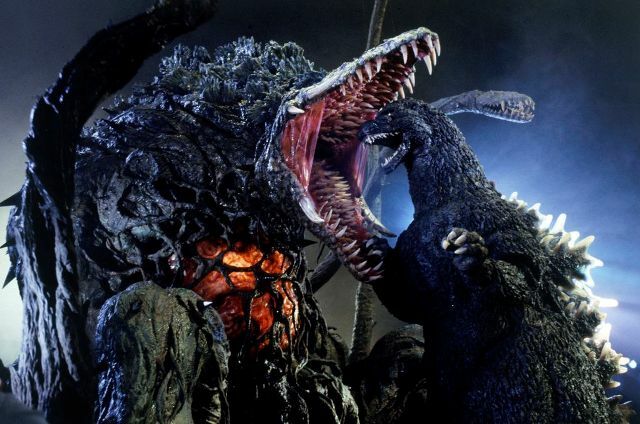 “Godzilla Vs. Biollante” on Blu-Ray!!! I have been a Godzilla fan for as long as I can remember. Weekends were always a treat for me growing up as there was almost always a Godzilla or Gamera movie to be found and I would watch these films over and over again, never growing bored with them. As an adult I still very much enjoy these films, perhaps because they do in fact bring me back to a simpler time in my life. I am a Godzilla completist, which means I must own every film in its best possible form. To date all movies are now available officially on DVD or Blu-Ray, with the exception of THE RETURN OF GODZILLA, aka GODZILLA 1985. 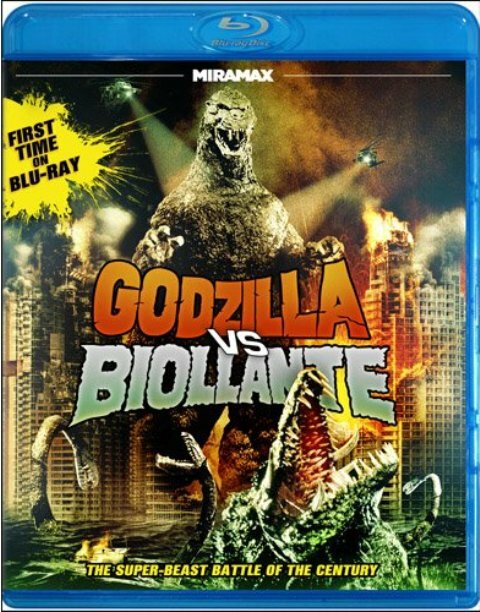 The sequel to this film, GODZILLA VS. BIOLLANTE finally just got its official release on Blu-Ray and though I was hesitant with this release, I must say, after viewing it, it is a must have for any Godzilla collection. My initial hesitation with this release was because it was being released by a company I had not heard of, Echo Bridge Home Entertainment. All recent Toho releases were either from Sony or Tokyo Shock. What also strengthened my concern was the cost of this release. Amazon sells it for $7.99 and from what I am hearing, it is also showing up at major retailers for $5 in their bargain bins. I am perfectly aware of the fact that just because something is released on Blu-Ray does not necessarily mean that what you are going to get is a great version of the movie. It all depends on what the releasing company used for source material. I can say with all honesty that this release does not disappoint! The picture quality and audio are both very nice and since I had only seen this movie previously from when it was released originally on VHS, this was a huge step up. You have the choice of watching this film in either its original Japanese language (in both 5.1 DTS and 2.0 DTS) but also in English (in 1.0 Dolby Digital). There is also a special Making Of documentary that has been subtitles in English as well as a “Behind the Design” documentary. Not bad for less than $10! This movie actually has a lot to offer. It features a nice original story full of espionage, science and plenty of monster-mayhem! Godzilla’s looks amazing here and is quite the improvement over the costume built for THE RETURN OF GODZILLA. Biollante is also something to behold. The initial rose-form is not very intimidating but the tendrils do manage to do some damage to Godzilla before he destroys it. 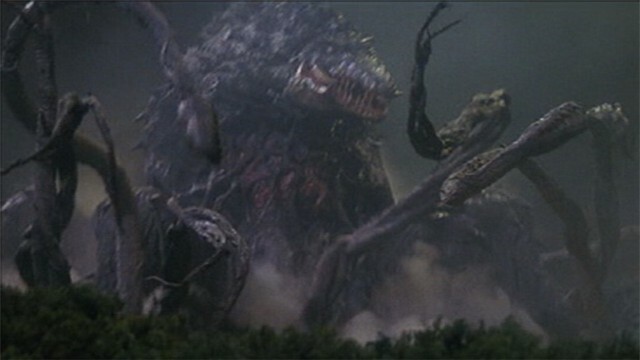 The 2nd incarnation is one of the coolest looking, and largest, monsters ever created by Toho. The scenes of Godzilla attacking Tokyo are beautifully shot and the miniature work is spectacular. The matte work is also a huge improvement with scenes of humans blending seamlessly with the monster action. All in all this is a very fun movie and a great addition to the Godzilla series. This was released on both DVD and Blu-Ray but I would recommend the Blu-Ray. Hopefully THE RETURN OF GODZILLA will get a similar release very soon! This entry was posted in Atomic Monsters!, DVD/Blu-Ray Review and tagged Godzilla, Godzilla Vs. Biollante, Toho. Bookmark the permalink. I got this for Christmas and loved it! I completely agree with your review, they did a very nice job with the blu-ray release. I particularly enjoyed the special features featuring deleted scenes including a proposed animated(!) segment and a portion of the battle featuring a stop-motion(!!!) Godzilla. I had actually never seen the movie before (I only recently got really into Godzilla) and was quite impressed by it. 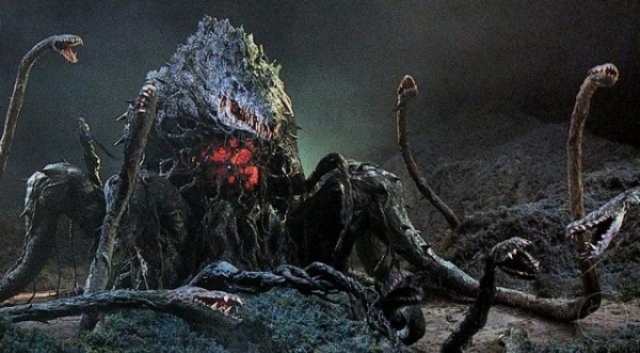 Biollante is a totally underrated kaiju, and it was cool to see them try to do something new after the ’85 reboot and before the inevitable return to more familiar storylines and monsters with the next film.